1. Cress (& Winter) by Marissa Meyer - Okay, so I technically already have a copy of this book in my possession because a blogger was kind enough to let me borrow theirs! I haven't read it (as of the writing of this post), but I know I'll still be dying for hard copy of this lovely book once I do. It's going to look so good on my shelves! 2. Crash Into You by Katie McGarry - I've already read this book (thanks Cass! ), but that doesn't mean I can't be dying for its release. The reasons are two-fold: 1) I want y'all to get to know and love Isaiah and 2) I can already feel a re-read of this one coming on! 3. Into the Still Blue by Veronica Rossi - I should not have to give you a reason for including this book on my list. I thought Through the Ever Night was even better than Under the Never Sky, so I have only the highest hopes for this conclusion. I can't wait to see what happens to Rossi's characters! 4. 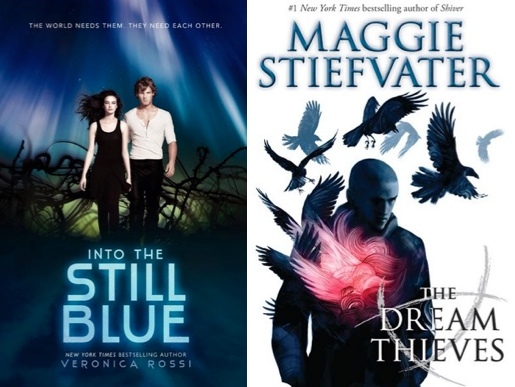 The Dream Thieves by Maggie Stiefvater - I know this one has already been published, but I still haven't purchased my copy yet. I want to re-read The Raven Boys before I dive back into this totally complex story, so I haven't exactly rushed out to buy a copy. But I struggled to think of ten so I'm counting it! 5. Isla And The Happily Every After by Stephanie Perkins - I think the whole blogosphere is dying for this book. I was so touched by Perkins' blog post explaining the reasons for this book's delay, and I prefer to believe that the waiting will only make the reading sweeter. 6. Ignite Me by Tahereh Mafi - I think Mafi will probably be the death of me. From her Twitter teasers to my unbelievable angst over this love triangle, I just cannot wait to read this final book and see how everything ends. I trust Mafi... kind of. 7. Allegiant by Veronica Roth - I'm writing this post before this book has released, so I'm letting it count. I read Divergent and Insurgent earlier this year, but I still feel like I need to do a quick re-read before this finale. But, at the same time, I'm also worried that if I wait too long the ending will be spoiled for me. Oh the dilemma! 8. The Fiery Heart by Richelle Mead - I'm alternatively dying for this book and scared of its release. If I know anything about Mead, then I can guess this book will end with a bang that leaves my heart in pieces. I'm just so scared! But, also, I want to read this book like right this minute. 9. 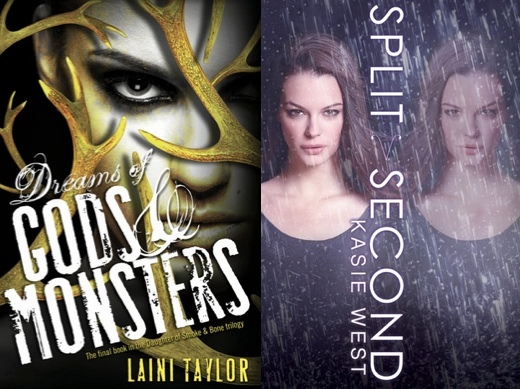 Dreams of Gods & Monsters by Laini Taylor - I almost didn't include this book because I still haven't read the second book in this series. However, I'm letting it count because I'd prefer to binge read the two back-to-back rather than have to wait months for the third book's release. So, I think that makes it deserving of a spot on this list! 10. Split Second by Kasie West - I was so surprised by how much I enjoyed Pivot Point when I read it earlier this year, and I've been really looking forward to Split Second ever since. I don't love this cover as much as I loved the first book's cover, but I'm hoping the same isn't true for the story inside. I'm so excited to see what happens next in Addie's journey! Haha! I really need to re-read The Raven Boys first. I feel like I forgot too much, and I want to get back into that mood before starting The Dream Thieves. Cress is really good, happy reading :D! I can't wait to see the ending of Allegiant, with all the fuss that has been going on.. I honest to god INTENDED on included Isla and forgot! AHHH. Fail! But yes! 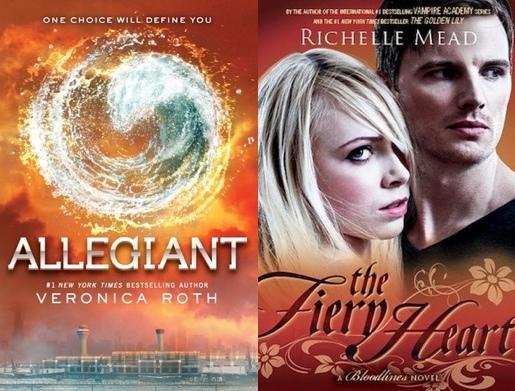 Totally agree with Isla, Ignite Me, Allegiant [though I read it] and Into the Still Blue. YAY! Also, I have not read Laini Taylor but I see you clearly enjoy that series.. ......hmmm! SUCH A FAIL. And yay for books in common! I need to re-read Taylor's first book and actually first read the second before I can tell you if you need to read them or not. I've been hearing very contradictory things about Allegiant. It seems to be one of those love-it-or-hate-it cases. Looking forward to your views! Yeah, I've heard lots of stuff about Allegiant. It seems like it's created quite a stir! I've started Allegiant already, and so far, I'm just anticipating what's going to happen next. So far, I've been liking what I'm reading! We'll have to see if that stays true for the rest of this book. 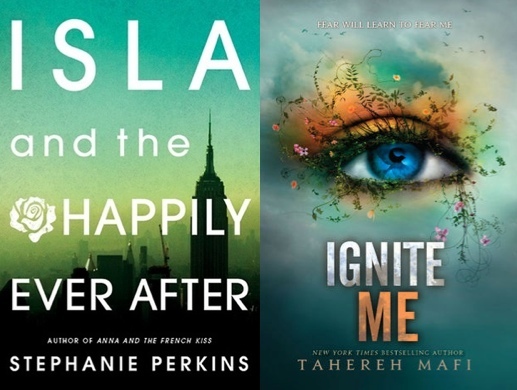 As for other things that I've been anticipating that are on your list - Cress (which I too have and cannot wait to read), Crash Into You (which I also have and cannot wait to read), Ignite Me (!!! ), and Isla and the Happily After (!!!). The one book that I've read on this list is The Dream Thieves -- and it was absolutely FANTASTIC. Yay for anticipating some of the same books! And I still haven't gotten to Allegiant. Reading fail. 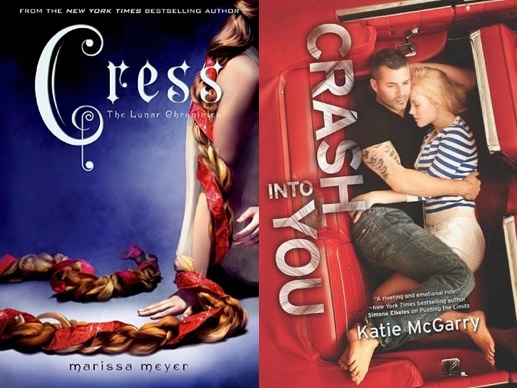 I loved Cress and Crash Into You and am obviously dying to read the other three! Hopefully Allegiant hasn't been spoiled for you yet, but in my opinion it's one you want to read ASAP. The ending is such that it's hard not to talk about, and I know people have been pretty vocal about it. Even when I read it, I felt like I was speeding through just so I could find out what the fuss was about. But can't imagine what the experience would be like if I knew the ending. I think I've eve heard bloggers refusing to read it, after it had been spoiled for them. But hopefully, you're able to avoid spoilers till then, at least assuming you haven't read it yet. Oh it was spoiled for me before I made this list :( FAIL. But I still plan on reading it - I just haven't gotten to it yet. Oops!